The School Bus: Back to School! We’re excited to announce that the long-awaited School Bus is now available! We’ve opened up the latest addition to our collection of unique houses for immediate booking, and it’s truly one-of-a-kind, a school bus re-imagined as a house, set in a tropical garden seaside on the Caribbean coast of Costa Rica. Check out the new School Bus page, and give a look to the photos below! Thanks to Bookmundi.com for including the Tree House Lodge on their 2019 list of top 10 best eco-lodges in Costa Rica! We’re proud to be in good company! USA TODAY: 5 Naturally Beautiful Eco-lodges in Costa Rica. USA Today gives Tree House Lodge some love! 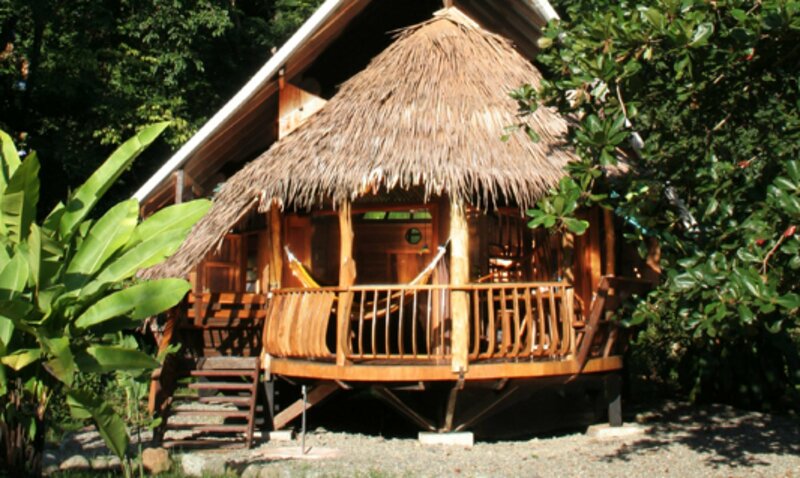 Those looking for an eco-lodge on the beach will want to check out the Costa Rica Tree House Lodge, convenient to Puta Uva beach. The family-friendly property has five screened-in accommodations built with natural materials such as bamboo and locally sourced nispero beams. There’s no restaurant on the property, but each of the houses has its own kitchen. There’s a grocery and bakery about a five-minute stroll down the road, and several restaurants within walking distance. The Costa Rica Tree House Lodge is built within the boundaries of the Gandoca-Manzanillo Wildlife Refuge, where tours of the rainforest can be arranged. It’s about a five-hour drive from San Jose to Costa Rica Tree House Lodge. Roads can be iffy and driving by night is not recommended. The easiest solution is for travelers to arrange to have the property’s driver pick them up at the airport. Rates start as low as $200 per night for two guests.